Yao Ming has retired from the NBA. 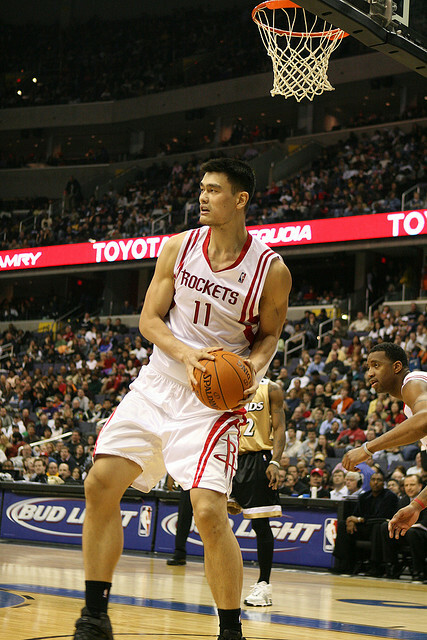 Yao, a native of Shanghai, China, played eight seasons for the Houston Rockets and also with the Chinese National Team for FIBA tournaments. Foot and ankle injuries marred Yao’s career, but not his legacy as he will always be credited with building the popularity of the NBA in China. Watch the farewell press conference after you advance the ball…. That room was PACKED full of people and media, as if for a dignitary. Life is my guide. You just follow it and it will open one and other doors, and out of each door there will be beautiful world outside, so since I’m retired one door is closed but there will be new doors opening and new lives waiting for me. Yao will now take over general manager duties for the Shanghai Sharks, his former team in China, which he purchased in 2009. First Shaquille O’Neal retires, and now Yao Ming. The big man position in the modern era NBA as we’ve known it, is no more.